If you are bored, and wanna see a really cool easter egg that i found on Google follow this link OR Go to Google and Search "Let it snow". 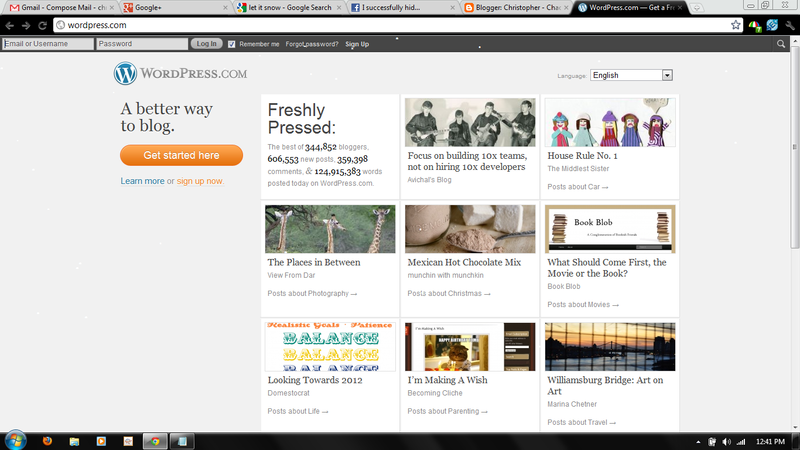 You should see a nice little snow effect like the one found at Wordpress.com .. Screen Shots below. 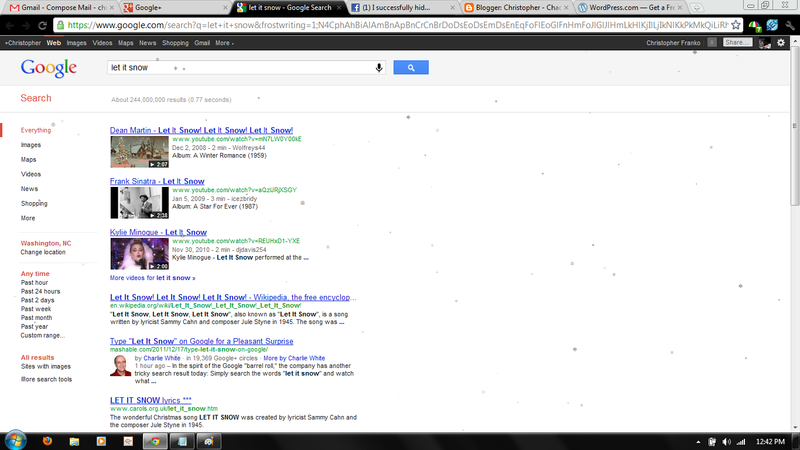 google let it snow easter egg. or christmas egg?! I love little easter eggs like that... like googling "do a barrel roll". What is life like to be a felon?